This is a 1933 Ford V8 Hot Rod wire wheel cap with a 5 3/4 inch back diameter. 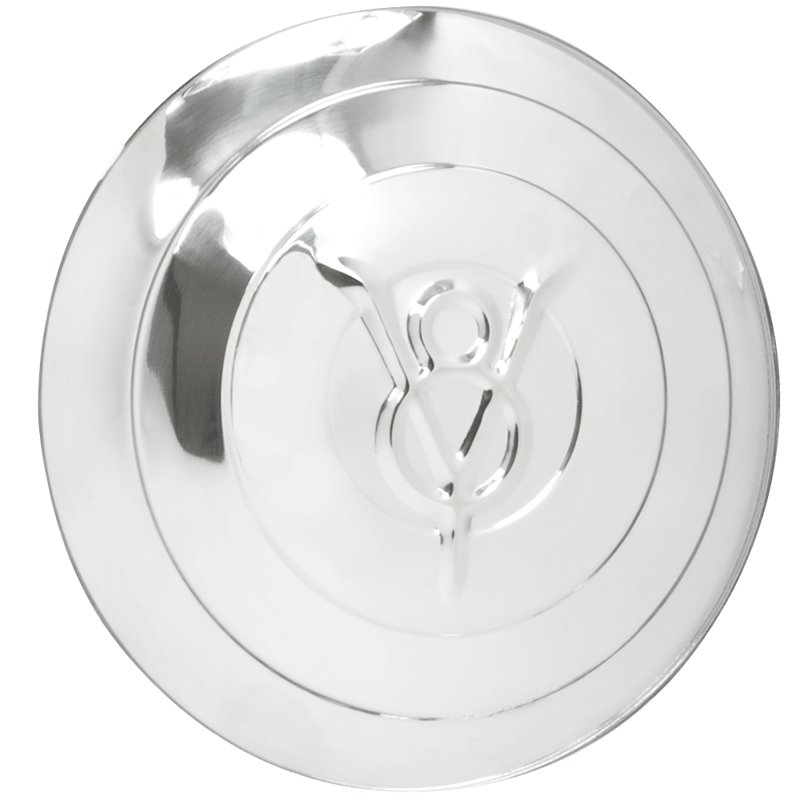 This 1933 Ford V8 Hubcap features the legendary V8 logo in the center as it appeared in 1933. 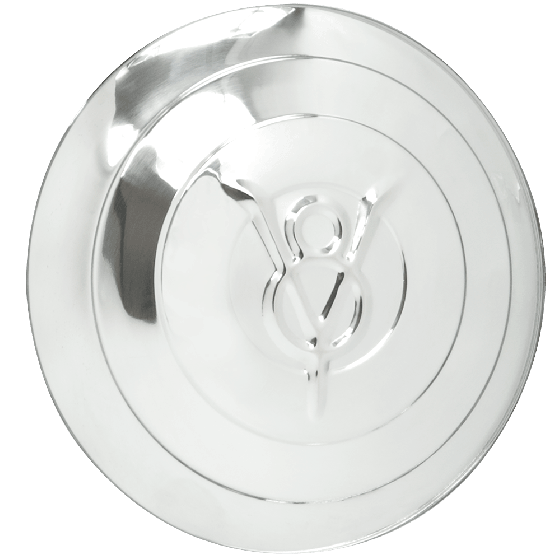 This cap is compatible with many of our other authentic design Roadster wire wheel center caps. This Hot Rod wire cap has a 5 3/4 inch back diameter. Fits our Street Rod wire wheels, All Sizes. Please check your actual wheels required cap fitment size.